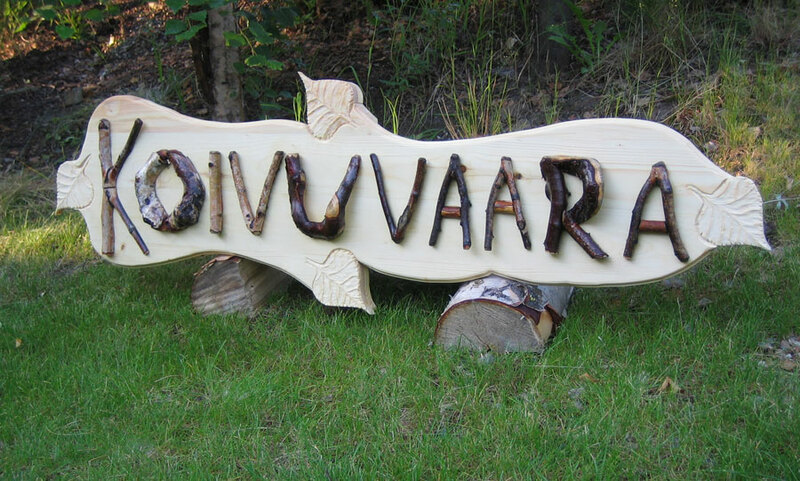 “Koivuvaara” (Finnish for “Birch Hill”) Rustic House Sign. Carved birch leaves; rustic birch pieces as applique. White spruce and Alaskan birch; 48”L x 15”H x 3/4” T; 7/2009. 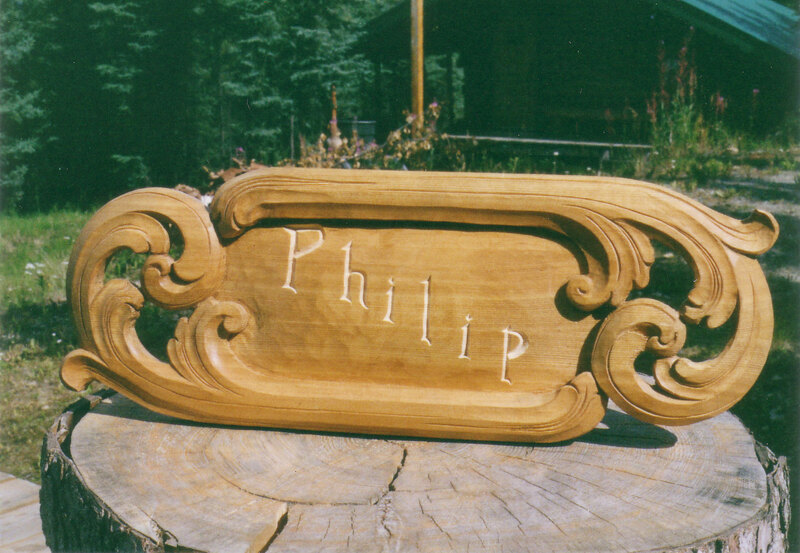 Traditional Norwegian acanthus nameplate carved with Anders Gjorslie. Pine, 17"l x 7' w x 1" h, 1999. 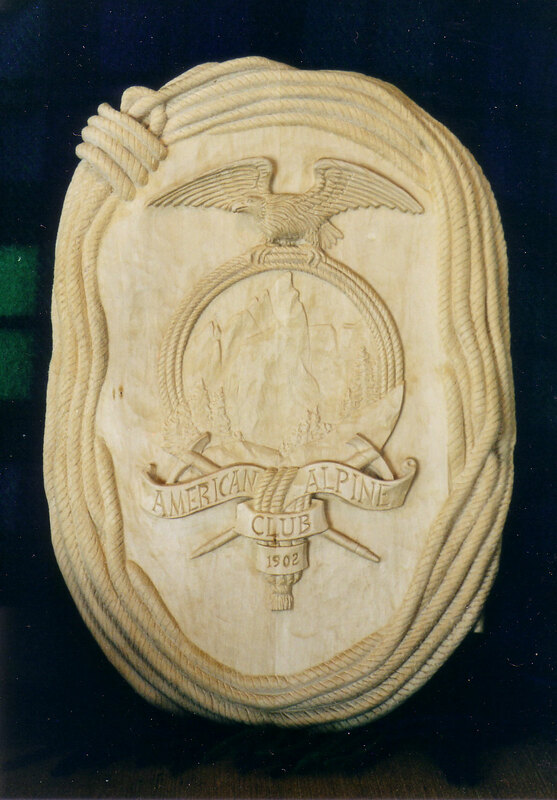 Old American Alpine Club logo carved with Pietro Vinotti. 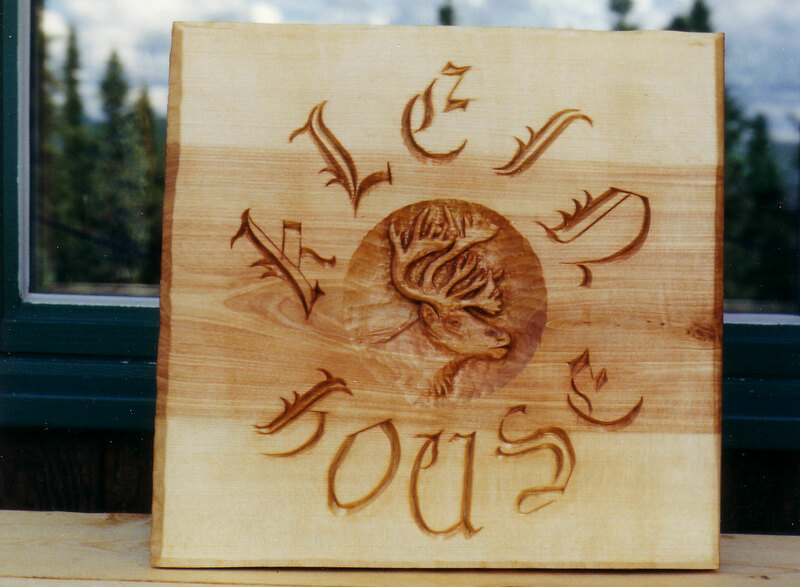 Basswood, 29" l x 18" w x 4 " d, 1998. Klein House sign at University of Alaska/Fairbanks' Musk-Ox Farm. Paper birch, 18" sq., 1.5" d, 1996. Marshall Family sign with raised letters. Black walnut, 27" l x 17" w x 2" h, 2002. Polhavn Woodfabrik business sign with low-relief and Swiss chip-carving. Aspen and German woodstains; 22" dia x ¾" t; 2005. 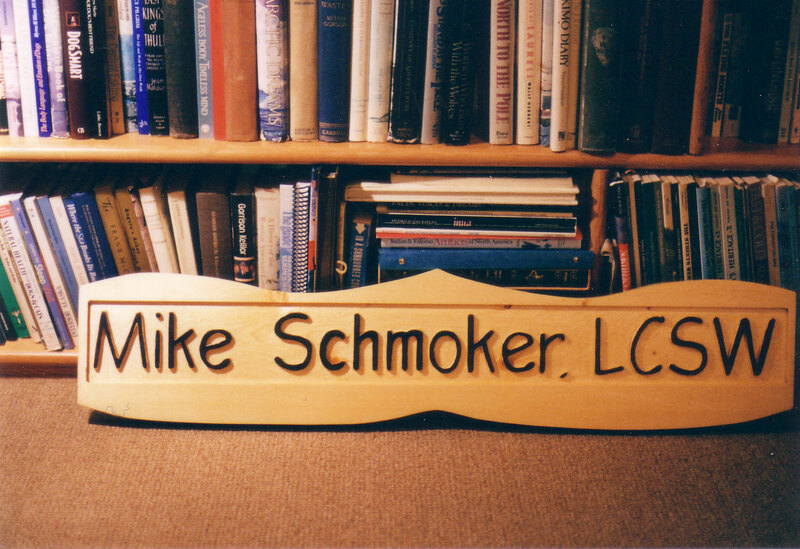 Schmoker business sign. White spruce, 32" l x 14" w x 1.5" h, 2003. Shadow Aviation business sign with high-relief carving of model. White spruce, basswood and acrylic paints; 4' w x 3' h x ¾" t; 2006. Carbajal House plaque carved assemblage. Coffee bush, basswood, white spruce; 12" l x 10" h x 3 " d; 2006.